BESSCHASTNY Igor Aleksandrovich (9.10.1957) – russian composer. 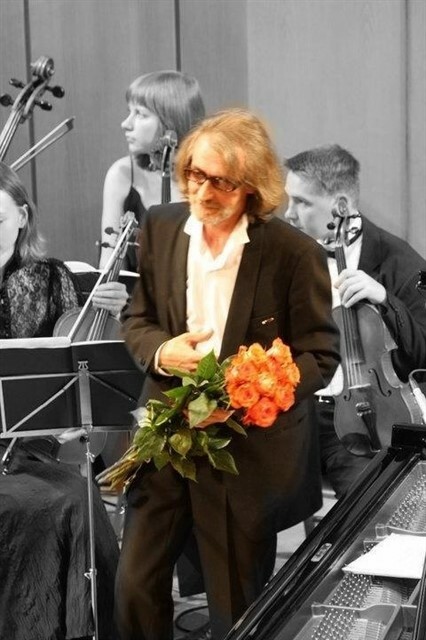 I.Besschastny co-operates with the known musician:conductor S.Proscurin(Russia-Sweden) , Max Schulz (Sweden),V.Hermann (Germany) ,Fr.Ollson (Sweden). Has own cool studio records "B&TheBand"
$10 gen adm $7 disc. Guest Conductor Sergei Proskourin leads the Cole Conservatory Chamber Orchestra in an evening of music by Russian composers, Igor Beschastniy, Georgiy Sviridov, Dmitri Shoskakovich, and recent CSULB graduate, Alex Sramek.